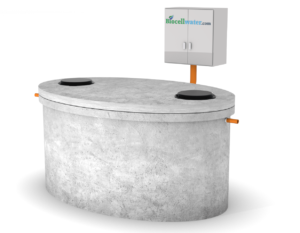 Biocell Water manufacture and supply commercial pumping stations for all types of commercial wastewater applications. We also manufacture and supply adoptable pumping stations and solutions for all types of large scale and industrial wastewater applications. Our commercial pumping solutions have proven to be cost effective and reliable, as can been seen in our extensive portfolio of commercial case studies. We offer ready made and bespoke solutions for pumping many types of wastewater such as sewage, stormwater, effluent and highly contaminated runoff/water. We offer dry well and wet well pumping systems and also packaged dry well pumping systems. Additionally, we have pumping solutions with integrated solids separation available. There are no limits on flow rate, installation depth or pumping distance – our engineers provide solutions to suit any site restrictions. Biocell can offer pumping solutions for any site regardless of constraints. For deep installations, we have a sectional vertical precast pump suitable for depths of +15m. We are one of the only companies that can offer this bespoke precast solution that avoids the need for concrete backfill. It is simple to install where groundwater causes a buoyancy issue. We also have a horizontal precast sectional tank that can be extended to provide unlimited storage volumes. 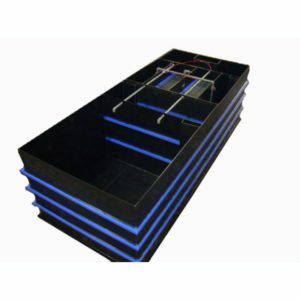 This horizontal sectional is suitable for above or below ground installation. 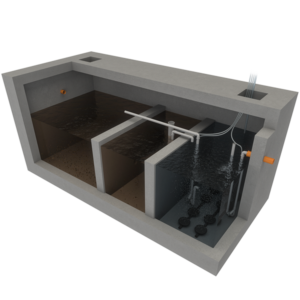 All pump stations come with separate valve chambers as standard, and we can incorporate any degree of overflow/emergency storage into the design. Biocell has extensive knowledge and technical expertise to match specific pumps to project requirements. Pump selection for industrial or commercial applications must take many parameters into consideration, with regard to the sump, the influent and the rising main. Access considerations for maintenance also play a major role in the design stage. Incorrect pump selection can lead to operational issues so allow our experts to guide you in your choice. Our technical experience and expertise means that we can supply pumps and ancillaries to meet any flowrate and head requirements. 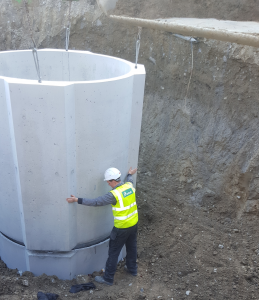 In addition, our pump stations for new housing estates are built to meet the Irish Water guidelines for pumping to the mains sewer. 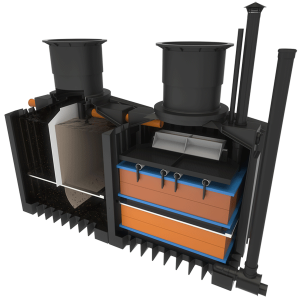 Odour Control – Activated carbon filters for vents, in addition to bespoke made to measure carbon filters for access manholes. 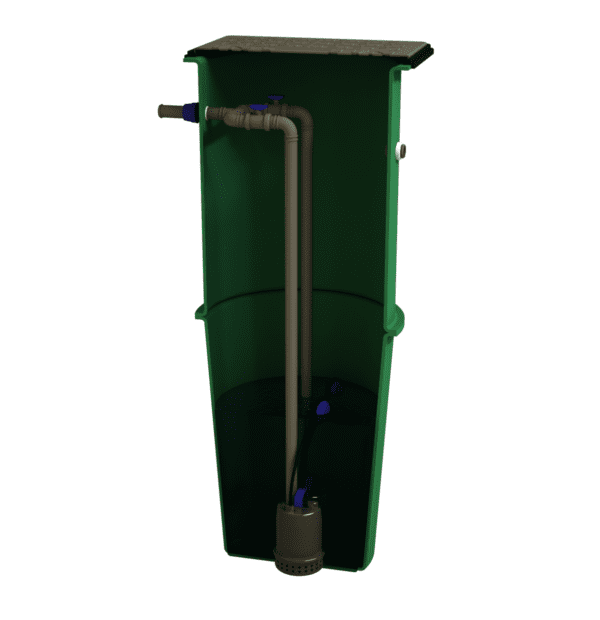 We can also supply chemical dosing systems to reduce septicity in rising mains and pump sumps. Easy Lift Covers – Galvanised and cast iron manhole covers with spring loaded easy open access. This is mandatory for larger manhole covers to comply with H&S and manual handling regulations to facilitate easy access for emergencies and regular maintenance. Guide rails and pedestals – Galvanised guide rail systems and pump pedestals for any pump model/size. Designed for any sump depth to permit rapid pump removal for maintenance/replacement. Davit Sockets and Lifting Equipment – A range of preinstalled or mobile lifting equipment to facilitate pump maintenance and replacement. SCADA Monitoring – We have the capacity to link all pump stations to our SCADA system to allow for remote monitoring and control of all pumps and ancillary devices. 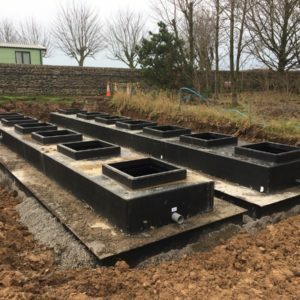 Packaged Valve Chambers – Packaged precast and HDPE valve chambers to match rising main pipework are available for new pump stations and as an add-on to existing pump stations. Anti-Siphon Valves and Over-pumping Connections – Anti-siphon valves to prevent pump overrun caused by siphoning due to rising main layouts. Bauer over-pumping connections to facilitate sump emptying. Control Panels – CE marked control panels built to match your requirements. Off the shelf panels also available. All alarms, generator switchovers, amp meters, run meters, manual/automatic switches, etc. supplied as standard. Compliant with all local standards. Get in touch if you would like to price a pump station for your commercial project or if you would like to enquire about a pumping system for an industrial project. A member of our technical sales team will be able to provide you with a free quotation or design proposal. We are happy to provide extra information or answer any questions you may have about a pumping system or solution. Best value and best quality for residential projects. Use Biocell pump stations for all our commercial jobs. Saved about 20k for an Irish Water spec pump station by going with Biocell. After seeing a 7m deep concrete pump sump I ordered installed I really do not know how people go with plastic for these pump sumps. Total false economy with all of the extra site works needed. Just purchased an 8m deep precast concrete sump from Biocell and got local M&E guys to fit pumps. Tank was exceptional quality. 1 x foul sewage pump station and 1 x storm water pump station with 24hr overflow storage installed at a city centre office block. I am the main contractor on the project. The biocell guys showed ultimate flexibility and offered a bespoke design to the engineers requirements. I was referred to biocell by another supplier, and I received a great service. Got great advice from the Biocell guys. They saved me a fortune on a big, high end pump station for stormwater on a huge car park extension. Nothing was too much trouble and the installation only took half a day. Had separate storm and foul pump stations installed by the biocell Team. I would not hesitate to use them again. Had a pump station specified as part of our changing room upgrade. Price for recommended supplier was through the roof!! Priced biocell. Their engineer visited the site, took all the levels and the end result was 40% cheaper. Seems the original company totally over specified what we needed…. I wonder why..! Needed an old pump station refurb job done. Happy with the outcome. Biocell did a full fit out of an existing sump for our commercial project. I would strongly recommend them for any future work. Needed to install a large system to pump sewage from 100 houses to the council sewer. Went with Biocell based on price and list of reference projects. Biocell guys asked me for a review and I was happy to oblige. We have installed some really big pump stations on major projects. Used Biocell first in 2014 after seeing a few projects they had done. We go back whenever we need a big foul or storm pump station.